My sister and I went on a mini-adventure to San Francisco yesterday for the relatively un-fun reason of my needing a Chinese visa for my upcoming trip. I last needed one four years ago, back in a time when same-day rush service was routinely available. In hindsight, I should have done some more research before heading over, oops! As it is, I'll be back at the consulate on Monday. The one upside is that we weren't stuck there waiting until the afternoon, which gave us a bit more free time to wander around. 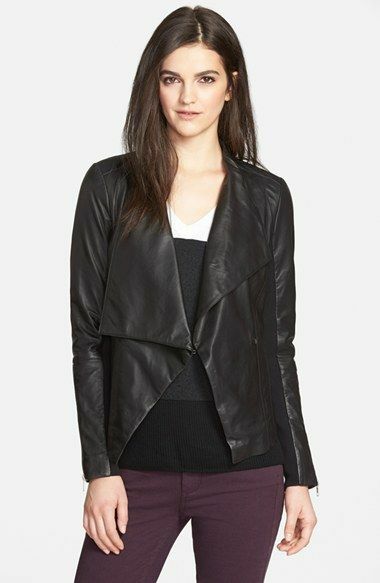 While browsing the Nordstrom Anniversary Sale during the early access preview, I randomly got it in my head that a leather jacket could be a good alternative to a trench coat for my fall/spring wardrobe and that I really wanted to try on the Trouve leather jacket (pictured on Extra Petite here). It wasn't a particularly well thought-out notion, though I do think of leather jackets as one of those distant-future splurge-y things that I might want someday. I can't see myself wearing it to work, though, so it might be one of those fun things that I can't justify while I'm working a corporate job. Either way, I was saved from having to think too much because this particular open, drape-y style isn't super flattering for me. There is a small clasp to hold the front together, but I'd rather have something that zips up fully. Also, half of each sleeve is stretchy fabric rather than leather, which I didn't notice on the website, and would make me feel a bit cheated if I wanted to buy it. 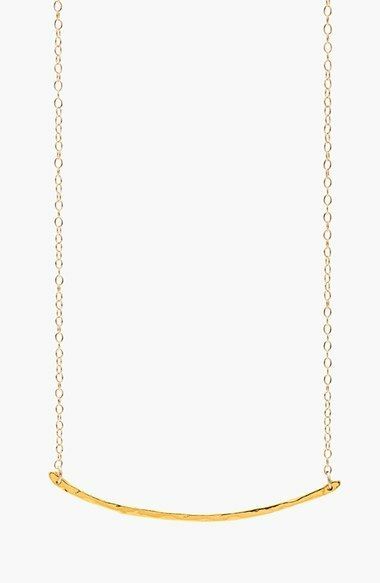 I probably will order this Gorjana necklace. I might be giving myself a bit too much freedom to indulge (despite my already extensive costume jewelry collection) because I anticipate being well under budget in July and August due to being abroad. I'll still try to do a budget post in August, but I tend to buy very few clothes when I travel in China or Taiwan. A sales associate was telling another customer that Gorjana has a lifetime guarantee and will re-dip their gold-plated jewelry when it tarnishes, which was news to me, but would be fantastic if it was true. I own a few Gorjana pieces and most still look new, but one I bought from Gilt tarnished very fast. I'll need to follow up with the company about that. 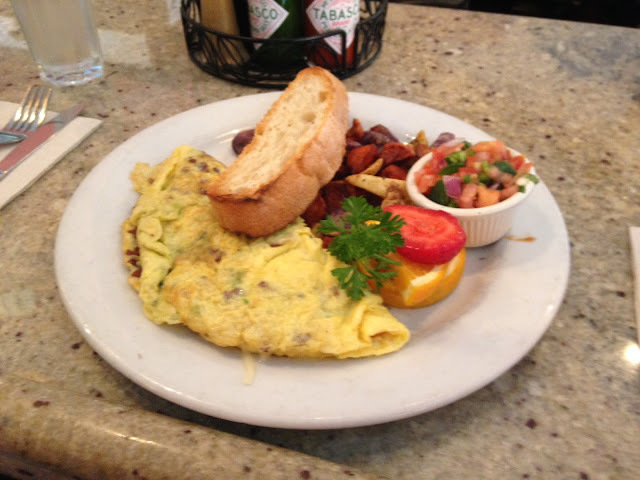 We walked back up to where we were parked near the consulate and had brunch at Sweet Maple before heading home. My sister's dish, a deep-fried french toast with extra banana and candied walnut topping, was a bit more photogenic (and relatively unique) than my omelette, though mine was tasty too! 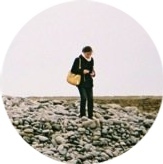 Please report back about Gorjana! There's a lot of pieces of theirs that I like, but I've been a bit worried about the quality over time. If they really will re-dip then that would seal the deal for me! That's a cute necklace though! I'm a big fan of minimal jewelry lately! Too bad about the leather coat not fitting :( If you're looking to splurge one day once you get settled in your career, I got my leather coat at Aritzia from a brand called Mackage. The style fit nicely over my bust, and it still looks good now, 6 years later. For sure! I might not be able to check on it with the company until I get back in September, but I will definitely update when I do. 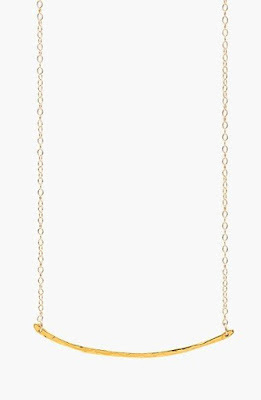 I really like Gorjana jewelry (and I generally think its worth the sale price), but that necklace I bought from Gilt tarnished so quickly that I get a bit nervous about buying new pieces. 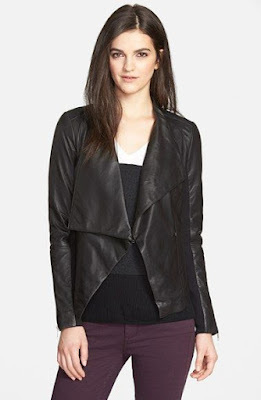 They totally stock Mackage at Nordstrom too! I've seen a few pieces there, though I haven't tried anything on... I'll keep them in mind if I start looking for another leather jacket. I've definitely been into jewelry with a more minimalist look these days, though I still own and wear a lot of big, colorful statement jewelry too!